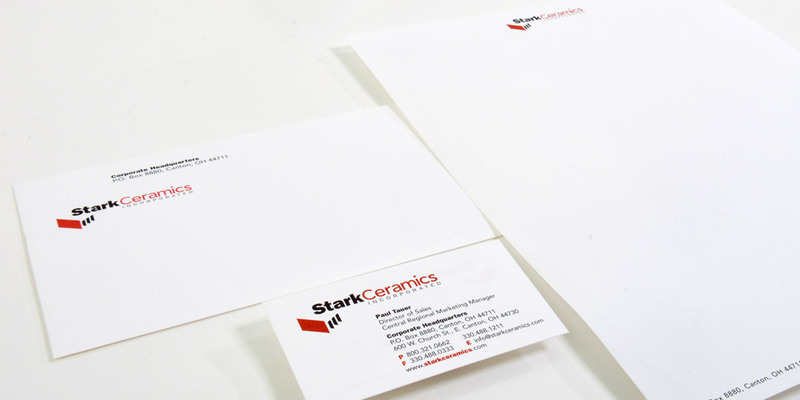 Stark Ceramics wanted a logo that represented their products, but also gave them the flexibility to expand their product line. We developed an abstract representation of their products that captured the essence of the line while allowing for future possibilities. We then applied it to a crisp stationary system. Boom Creative is a leading graphic design firm in Northeast Ohio serving clients across the country. We provide a wide range of graphic design services, web development services and marketing services.